Ever wonder where you can find the education for you and your staff to help improve various aspects of your cable operation? 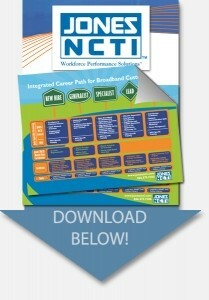 We turned to the cable curriculum company, Jones/NCTI to get some answers. Jones/NCTI provides employee training, consulting services, and online training for the cable industry. Several hundred thousand cable professionals have used Jones/NCTI to help them make smarter decisions, reduce costs and advance their careers. 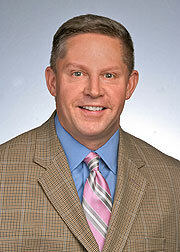 Wayne Applehans started with Jones/NCTI as Chief Product Officer in 2014 and was appointed President shortly thereafter. Mr. Applehans is a seasoned business technology leader, information architect, and product strategist with over 18 years of proven experience building and managing innovative product development, digital marketing, and learning development and delivery teams at Microsoft and Oracle. He is passionately focused on helping broadband professionals thrive in their careers through innovative learning delivery and mobile technology solutions that blend relevance and technology into a seamless experience. ZCorum: Wayne, please tell us a little bit about how NCTI started. Wayne: The company was founded as the National Cable Television Institute and was a supplier of teaching materials to the cable industry. Today, Jones/NCTI has expanded into offering online broadband-specific college degrees and building virtual libraries for cable organizations. We are in our 45th year of doing business with a strong legacy in the broadband industry training cable techs. The company was founded in 1969 and Glenn Jones, our Executive Chairman, purchased the company in 2005. It’s quite a different company today than it was when Glenn first purchased it. ZCorum: Has your audience always been cable technicians? Wayne: Our audience has always been aimed at the cable industry. Our courses were developed specifically with cable technicians in mind. You’ll find that many executives at companies including Comcast, Charter, or Time Warner have their Master Technician and/or Senior Master Technician certificates from Jones/NCTI. However, in the past four decades, our curriculum has evolved to include training and certifications for call center representatives and other soft skills such as our suite of mentoring and leadership courses applicable for any individual in any industry. ZCorum: So Jones/NCTI has definitely had an effect on the cable industry. Wayne: It’s amazing, the number of hands we see in the air when we are at industry trade shows or training facilities and we ask how many folks have taken a Jones/NCTI course. It’s always 60-70 percent of those present. They have taken everything from our new entry Installer course to our Advanced Technician course on head ends. I was at the Rocky Mountain Chapter meeting for the SCTE recently and I was talking to a Senior VP at Pace Networks and he was a Master Technician. He had taken all of our courses and was very proud of that. He talked about all of the foundational learning that we had provided him in his career. We take great pride in that legacy, but also in the learning experiences we have created for these folks over the years so they can provide for their families and have a great career in this industry. We are proud of our significant footprint having trained over 400,000 cable and broadband professionals. ZCorum: Your focus is moving into what you’ve referred to as a “next level of learning”. Is this a new direction? Wayne: When we talk about the next level learning for broadband professionals, it’s about building on that rich foundation that we’ve provided to the industry for many years. We’re going to the “next level” in terms of new learning delivery models and different ways of sharing content and presenting that content in ways that are improving the employee experience within these organizations. So there’s a twofold aspect of our focus. On one side, our story is about new integrated learning for advancing technical and support roles into leadership roles. We are drilling down into how individuals do their jobs, the way call centers do their job, how leaders lead, how mentors mentor and really understanding and putting a face on the broadband industry. We’re providing the content for the job cable professionals are doing on a particular day, be it an aerial disconnect or providing fiber to the home, diagnostics on a modem in a home, or a Wi-Fi trouble call. Then we think about the employees in terms of their current capabilities and beyond and where they are going with their career. We are helping them on a daily basis, but we are also setting in motion the foundation for their career. On the other side it’s about new ways of delivering content, learning and making sure we can deliver it to any device at any time. We have taken a look at our training for the past four decades, and have brought everything current including topics such as DOCSIS 3.1, IPTV, WiFi and other areas of technology. We have digitized all those assets and can now provide those to techs while they are on the road through their iPhone, Androids, or tablets, any workforce automation systems that they might have. ZCorum: This is also having an effect on the customer experience as well? Wayne: Yes it’s all leading to improved customer experiences. What we’ve learned consistently in talking to our stakeholders, who are chief learning officers, execs in field tech ops, call center representatives and technicians in a NOC or head end, is that all of the training and knowledge does accrue to the overall customer experience. We have been talking to a few stakeholders for the past year now, and what I find interesting is that when we talk to the chief learning officers is there is a lot of discussion around career paths and a foundation of learning that leads to improving the customer experience, improving analytics, and improving operational efficiency. It’s about the end to end customer experience, and it often starts with the employee. ZCorum: So the expectation is the career path training will create more competent, well-rounded employees? Wayne: The expectation is all about operational excellence. What everything is accruing to right now is the ability to create more confident, consistent and competent employees to improve metrics from communication, improving fundamentals, quality, less repeat services, things like that. All of our training is really aligning now with these kinds of metrics. We are digging into these roles and learning everything that we can from that new installer to the head end technician. Leadership on top of technical training on top of customer experience. ZCorum: What about actual books? Will you eliminate those? Wayne: Our end-users are asking for quick access to content and learning to help them get the job done. The administrators that we work with, who manage everything from the learning management system out to the devices, really want to work with organizations to deliver mobile learning or just-in-time learning in very modular chunks. But it’s interesting because a lot of folks still love paper. A lot of techs are saying they still like the books, but also like having access to this content via smartphones or tablets, or whatever the case may be. And that is really what we are designing for, an integrated digital experience. We have a very rich, almost YouTube like experience in our mobile app. You can drill down into all of the courses that we offer. You can type in your search terms and pull up content within the app such as DOCSIS , set top box, Arris, JDSU, IPTV, etc. But the books will still be there as well. ZCorum: You’ve recently launched your new app, Amp™, for field technicians. From our first look it really seems like an excellent resource. Tell us more about that. Wayne: Amp is our mobile performance tool that delivers on-demand information and training to PC’s and mobile devices for frontline field teams. It offers a full suite of training content from Jones/NCTI’s most popular courses that have helped cable professionals to advance in their careers. Amp includes thousands of hours of resources including videos, tutorials, job aids and demos that give field techs real-time information in the field when and where they need it most. It will take learning to the next level and provide an in-the-moment experience. ZCorum: Are you delivering the same content to everyone? Wayne: Companies are telling us that they care about two things: they want the content we develop their organization to be very relevant. They don’t want to waste time with things that aren’t going to move the needle on customer care and operational expenses. They are also interested in the tech behind delivery. They want to be sure that they can deliver content in the context of the way they are doing their jobs whether it is through a mobile device or tablet. They want to be very thoughtful with how they use their training dollars and it has to offer fast, visible results to the organization. What a lot of companies are thinking about today is blended, online instructor lead, small component learning. A lot of cable operators today, if they know that a field tech has a fifteen minute break between truck rolls, will push out a video clip on ladder safety, or the latest DOCSIS 3.1 release. At present, users want a blend of certification and informal learning so that they can assess whether a tech understands DOCSIS 3.1 and, at a very modular level, understands ladder safety, etc. It is important for technicians to have adequate training, but they shouldn’t have to traverse a course in order to get time-sensitive information while on the job. The way our content is designed is in learning building blocks. Or modules. If a company comes to us with something specific that they want to train their employee on, whether it’s safety or DOCSIS 3.1 or IPTV, we can build custom courses out of our library and serve that content up into a mobile experience and even push out notifications, for techs to access as they move through their day. For example, we can push out a video on ladder safety as a tech heads into icy conditions or checklists on exams that they may be taking toward their broadband degree. ZCorum: So you see employees becoming fully involved in training and learning? Wayne: It leads us to working with organizations on integrated career paths. We start with generic career paths for our clients that can begin from the customer fulfillment side of the house all the way to the head end and the NOC. We have created training to help someone progress through their career and move from an entry level installer to a fairly high paying job working as an executive in the field, or working in the headend as a lead tech. It sends an encouraging message to individuals that they are not going to just be connecting and disconnecting cable for the rest of their life. They won’t be stuck doing modem installs and diagnostics if they want to move up. It lets them know there are career paths and places for them in this industry. Companies want to retain people so that good things can happen, ultimately, for everyone. ZCorum: How does this impact employee retention? Wayne: A lot of our operators today tell us if they can get someone past the 6 month mark, and keep them until the three year mark, they can have a great employee for life. Turnover and churn is very costly and when they’re hiring thousands of techs every year, they have to find a pathway to keep them engaged within the organization. We’re very excited about career path opportunities that we are seeing. This leads back to our Master Tech program that they can build a career around, along with our leadership and mentoring courses. ZCorum: These courses help them attain a degree in Broadband Technology? Simply complete the form below to download the free infographic. Yes, subscribe me to updates from the blog! Have a question that you need answered about broadband? Ask a broadband expert and your question could be featured on our site next month. Ask your questions by filling out this form or in the comments section of this article.